Pasadena, CA (The Hollywood Times) 5/8/18 – Hollywood’s own Hedy Lamarr, once one of the world’s most beautiful women, will be profiled on the new PBS segment of AMERICAN MASTERS in the first co-production with Susan Sarandon’s new company Reframed Pictures. Lamarr’s beauty, upon which the figures of Snow White and Catwoman were based, may have blotted out her other claims to fame as an inventor. The film follows Hedy Lamarr’s story as the daughter of Austrian Jews through her rise to fame, the Nazi onslaught, her departure for the United States, six marriages, her acting career, her landmark invention, decline, and finally her death at the age of 85 in 2000. 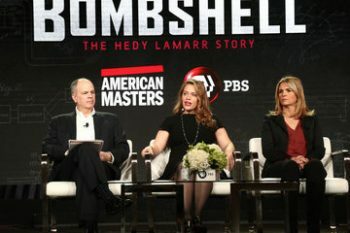 Hedy Lamarr’s technological legacy was discussed at the PBS AMERICAN MASTERS Winter 2018 TCA Press Tour panel taking place on Tuesday, January 16th at the Langham Hotel in Pasadena. Present were director and producer Alexandra Dean and Danijela Cabric, a professor of electrical engineering at UCLA. Cabric is an expert on frequency hopping and is interviewed in the Hedy Lamarr film. What is Lamarr’s reputation as an actress in this day and age? She never made a CASABLANCA as she might have. The mark she made on the world had more to do with her technical innovations and inventions. 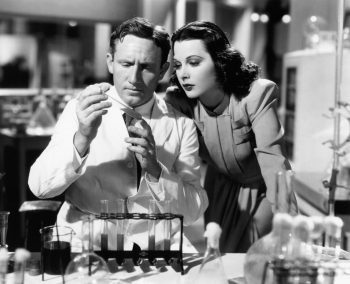 Hedy Lamarr invented frequency hopping technology at the time when it was really needed. This was the first time in history that frequency hopping was used for military communications. To this day, that is the technology used to protect and make secure military communications. Federal agencies are still investing in frequency hopping. “When you look back into history, [Lamarr] was the first one that proposed it, patented it, and in ways caught the prototype,” said Danijela Cabric. Sometimes we can only handle one thing at a time about a celebrity. 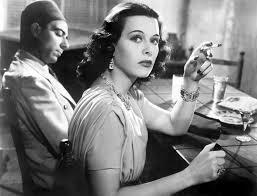 So what does it tell us that we could never get our hands around the fact that Hedy was brilliant as well as beautiful? Alexandra Dean added, “You really have to. . .look underneath the coverlet and see what is really going on or we miss out on these huge swaths of people and these amazing histories that are all around us.” Ms. Lamarr’s accomplishments may help to challenge stereotypes about women and technology. In the chaos of Europe when Lamarr was growing up, was there any ability for a girl to get training in technology, or was this just something native born within her? In Vienna she got a good education in science until the age of 15, then left school to begin acting. Lamarr’s close relationship with her father in childhood may have turned her towards inventing later on. 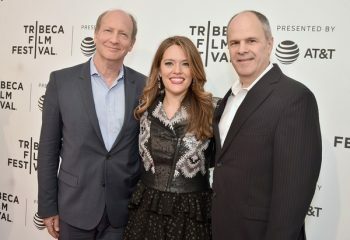 (L-R) Doron Weber, Alexandra Dean, and Michael Kantor attend ‘Bombshell: The Hedy Lamarr Story’ Premiere during the 2017 Tribeca Film Festival at SVA Theatre on April 23, 2017 in New York City. This PBS segment itself had to be “invented” from some long-lost tapes of Lamarr speaking. Other epic film stars such as Clark Gable were also recorded! 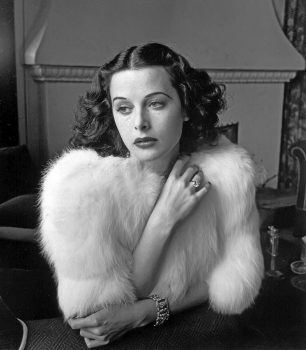 Hedy Lamarr was, in addition, a legend in Beverly Hills for plastic surgery as both patient and surgeon! Sometimes her surgeries melted in the sun, as can be seen from vintage photos of her face. She had a drug-related psychotic break in the late 1940s and started to shoplift. So is Lamarr a tragic or triumphant figure? Maybe both! At the end of her life she realized she was doing something as an inventor that could change the world as part of the war effort, and that gave her life meaning after being “kicked around” as an actress. “I don’t think anyone who really gleans wisdom from their life is tragic. I think what’s tragic is when you don’t, when you die without any insight, without any arc, without any movement over your life,” said Alexandra Dean. What a lesson to learn from Hedy Lamarr! Now her name is mentioned along with those of Einstein and Edison as well as Mayer and DeMille. Prepare to see Lamarr’s double life unfold on PBS in all its richness right before the royal wedding.